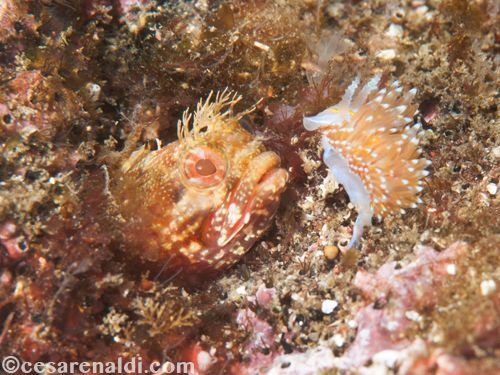 Several years ago I made a series of dive trips to the Channel Islands as part of the undersea photography class at Brooks Institute of Photography in Santa Barbara, California. The goal was to apply our classroom knowledge underwater. During one of these trips we dove the beautiful and cold waters of Santa Cruz Island. 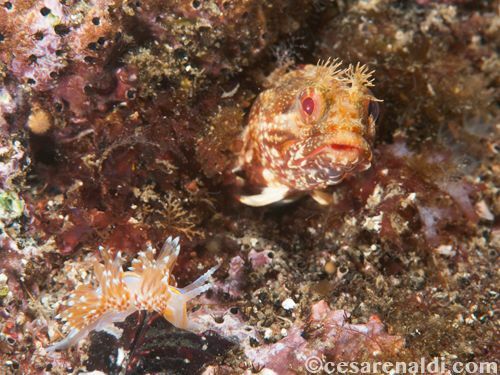 For most of the dives I decided to shoot macro since visibility was not at its best and the water is always very rich in amazing benthic life. At the end of each dive I always make sure to spend as much time as I can at 15-20 feet, trying to make the most of these last photo opportunities, and on this day the time turned out to be very well spent. In fact I was able to capture this interesting behavior just before surfacing. I spotted the Fringehead after a long dive, and since I hadn’t seen one recently I decided to take a snap shot just to keep a memory of the encounter. The fish was positioned on a flat rock and there was no possibility of finding a nicer composition or any interesting lighting effect. 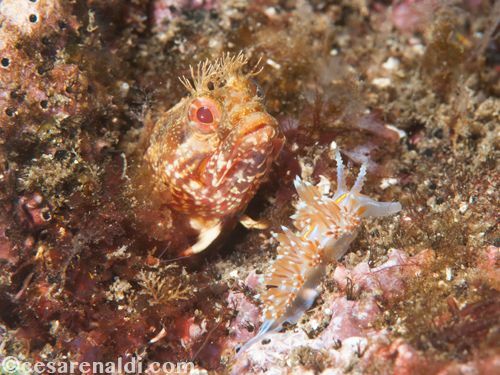 But as I got ready for the shot I noticed that there were many nudibranchs, including a Hermissenda crassicornis very close to the Fringehead. Naturally, the thought of making a more interesting photograph with the nudibranch and the fish in the same frame came to my mind. 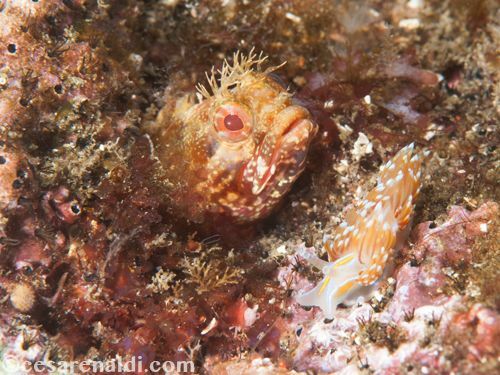 The hermissenda enters the frame and moves closer to the attentive Fringehead. 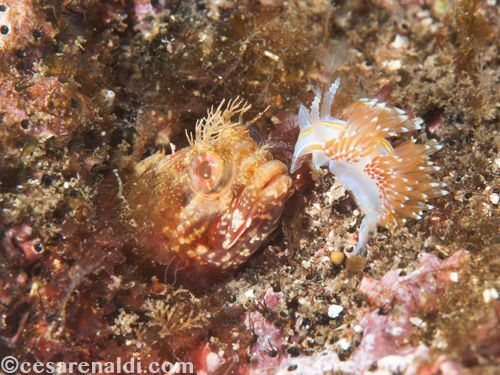 I had to wait several minutes before the nudibranch passed in front of the Fringehead, and when the position was right I started shooting, hoping for the nudibranch to get closer and closer. 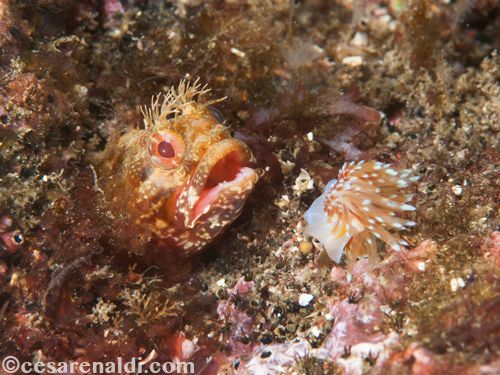 And at the end, it got so close that it stopped and stood up right in front of the jaws of the Fringehead. It stayed like this for ten long seconds until the fish decided to get a little taste of this boldfaced sea slug. 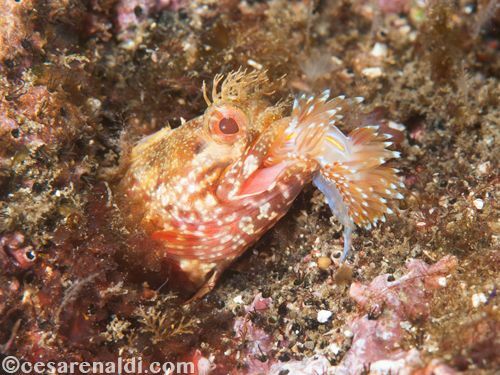 The Fringehead kept the nudibranch in its mouth for less than a second and then abruptly spit it out. The action unfolded quickly, and when I checked the images on the LCD screen I was very happy that I was able to freeze the action at the right instant. 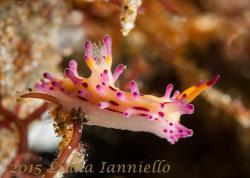 But I was also excited to have witnessed one of the most amazing defense mechanisms employed by nudibranchs. These tiny, colorful creatures do not use a shell to protect themselves from predators. Instead, they have developed the ability to eat poisonous prey and store that prey’s stinging cells on their dorsal cerata without being affected by the poison. They basically just use the self-defense cells from their food source as their own protection. 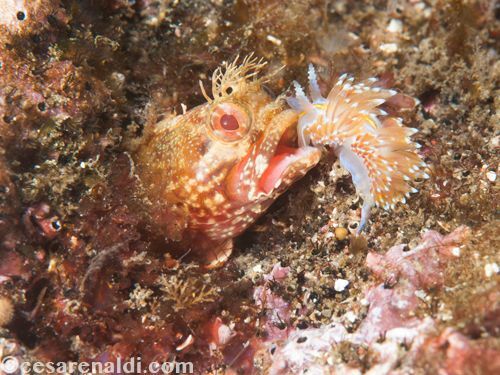 The result is that nudibranchs are not a very desirable meal, and this bold Hermissenda crassicornis was no exception! Patience and luck were the key elements to capturing this behavior sequence, but having the camera settings ready was also essential to avoid missing the action. For this reason, whenever I shoot macro with a 105mm lens, I always set the camera on manual mode, usually at ISO 200 and 1/250s @ f/16. The two strobes are also set on manual mode and placed on the sides right next to the lens port. Considering the minimal distance between the camera and the subject their power is very low. Focus is also set to manual and at the closest focal distance (thanks to the zoom gear), so that if I spot something interesting I only have to aim at the subject and get closer and closer until it is in sharp focus. With just one or two clicks I will have a sharp image. Afterwards, depending on the subject and if conditions are good, I will begin to work on a more sophisticated and intriguing framing and/or lighting. 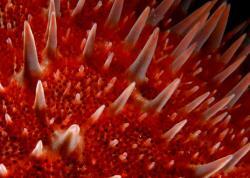 These photographs were taken with a Nikon D300 with the Nikon 105mm lens in a Sea&Sea Housing with two YS110 Strobes. Exposure at ISO 200 and 1/200sec @ f/16. Cesare Naldi is an Italian professional photographer and cinematographer. 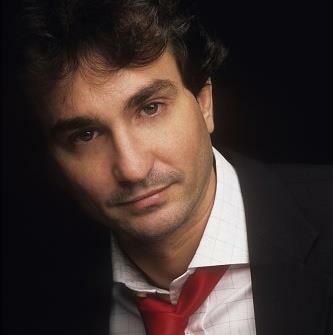 He acquired his lighting and photographic skills at Brooks Institute of Photography in Santa Barbara, California. 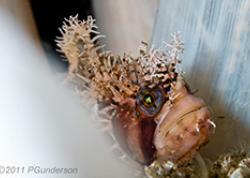 He is fascinated by the underwater world, and he has traveled throughout America, Europe, Asia and Africa. His photographs and short films have been part of numerous exhibitions in California and Italy. His reportage of Rajan, the swimming elephant of the Andaman Islands, has been published on several newspapers, magazines and books, including the National Geographic Magazine and Taschen Books.